Leigh Electrical have over 50 years experience of cable installation in a commercial setting. This experience has lent perfectly to successfully completing data cable and telecommunication cable installs for our clients across the South-East. Leigh Electrical have completed many data cable installations to date for our clients. To see more details regarding some of there installations please follow the following link to see recent work completed in Southend-on-Sea. 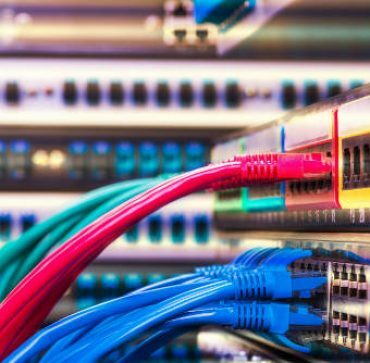 Our data cabling service can be used in conjunction with any of our other commercial electrical services, allowing our clients to contract with a smaller number of contractors, which makes us natural choice for companies who are wishing to expand their premises or wish to connect additional areas to increase the use of current space. Our engineers operate 7 days a week and will gladly work evenings and nights to ensure your data cable installation takes place without disruption to your business activities. To speak to our team regarding pricing and availability, please call 01702 873350. To read a selection of reviews left for Leigh Electrical regarding the quality and value offered by their service, please see the following link to our Trust a Trader review page. Leigh Electrical hold full NICEIC registration alongside our Trust Mark membership. 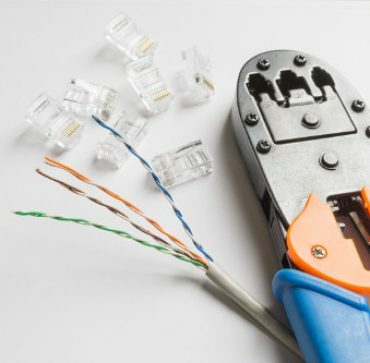 Leigh Electrical can swiftly and cost effectively install any type of data or telecoms cable within business premises. 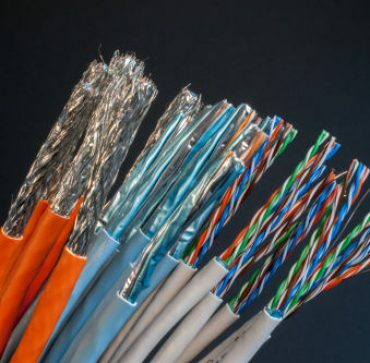 Below are some of the most common types of cable requested for installation, if the data cable you require is not included below then please call us directly on 01702 873350 to discuss your installation or submit a contact form if viewing this out of hours. CAT 5 is the most commonly requested form of data cable for installation. It offers a unique mix of affordability, versatility and can transfer 4 signals at once. Please call Leigh Electrical on 01702 873350 to discuss costs and installation times and dates. CAT 6 data cable can handle greater amounts of data then CAT 5 and is compatible with CAT5. For phone systems that operate via PSTN as opposed to VOIP, telephone cables are an essential part of any expansion. For more information please call us directly on 01702 873350.